At InsureMy, there is no bigger compliment from a client than referring a friend or family member to us, it shows the trust you have in us to provide you with advice, products, best in class service and knowledge. 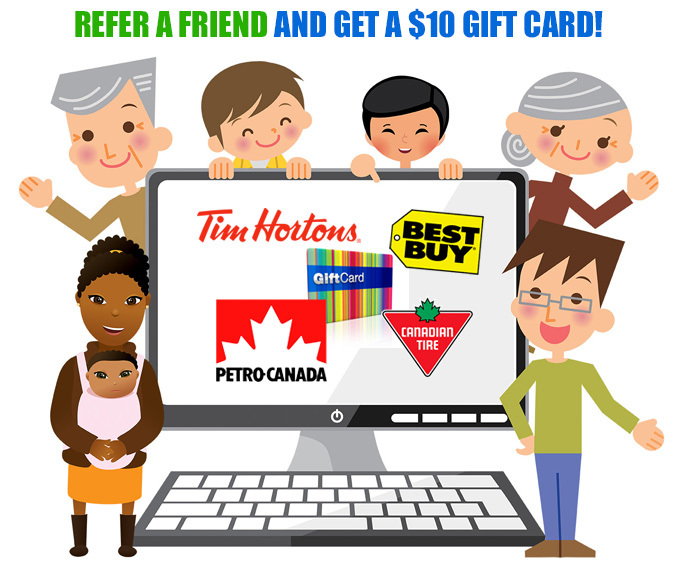 For every friend you refer to us, we will give you a $10 reward gift card for just having them call or fill in a form for a quote; if they become our client we will double that reward to $20. You, the referrer, must be an existing customer of InsureMy Ltd. Your friend, family or relative must be a new customer new to InsureMy Ltd. & complete the quote process with one of our insurance brokers or financial service advisors. Referral Rewards paid out every 3 months. So they can be accumulated for larger gift cards.